The Bias Index is the one statistic that is just a little different from the rest. It looks not so much at your own work (your Submission or critiques), but on how you evaluated other’s work. That is, it compares how you ranked other’s Submissions in Review or other’s Critiques in Reaction with how your peers did it. You are given a number between 0 and 1. If your number is between 0 and 0.5, then you have little cause for concern. In a sense, you agreed closely with your peers’ perceptions of the other peer’s work. If your number is between 0.5 and 1.0, then you should realize that your evaluations greatly differ from those of your peers. 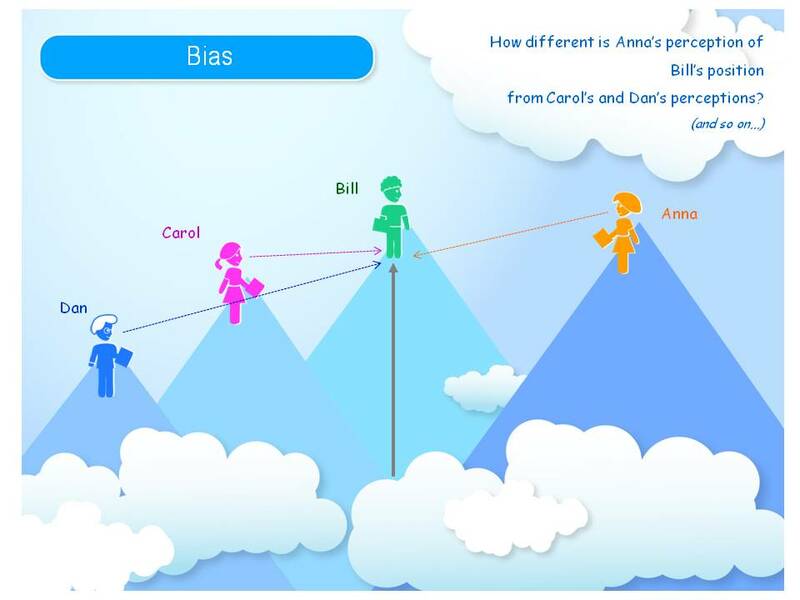 In the picture you see that Anna’s perception of Bill’s work quality is much higher than Dan and Carol’s. Therefore, Anna’s Bias index will be in the 0.5-to-1 range. This should cause Anna to start asking some questions. She could talk with her instructor and try to pinpoint the cause of her Bias being a little high. Possible reasons could include her ability as an evaluator is not as strong as that of her peers or, in contrast, that it is much stronger. She could also be in a group of peers that did not care as much and just rushed through the assignment. If you are like Anna, don’t worry; just ask your instructor if you are unsure.